Scholastic to release Lavie Tidhar's CANDY… | Zeno Agency Ltd. 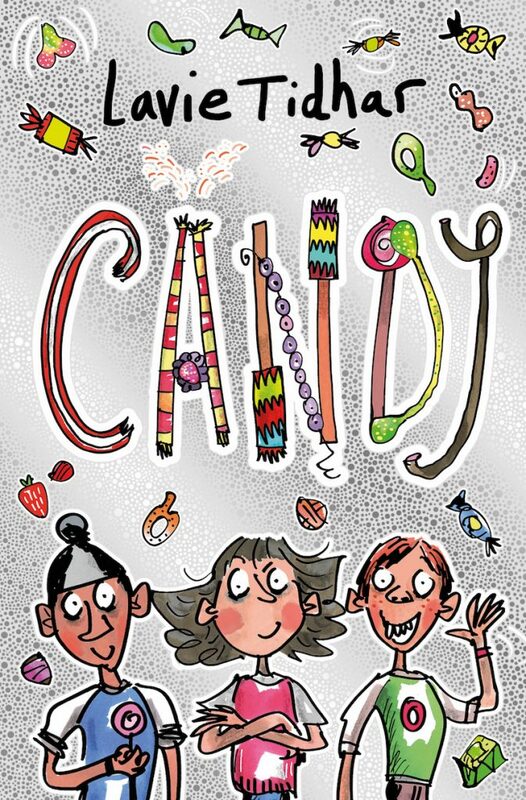 Yesterday, Scholastic UK officially announced that they will be publishing Lavie Tidhar’s CANDY, the author’s first foray into children’s fiction! Due to be published on June 7th, 2018, Scholastic have described the novel as ‘Charlie and the Chocolate Factory meets Bugsy Malone for 9+ readers’. 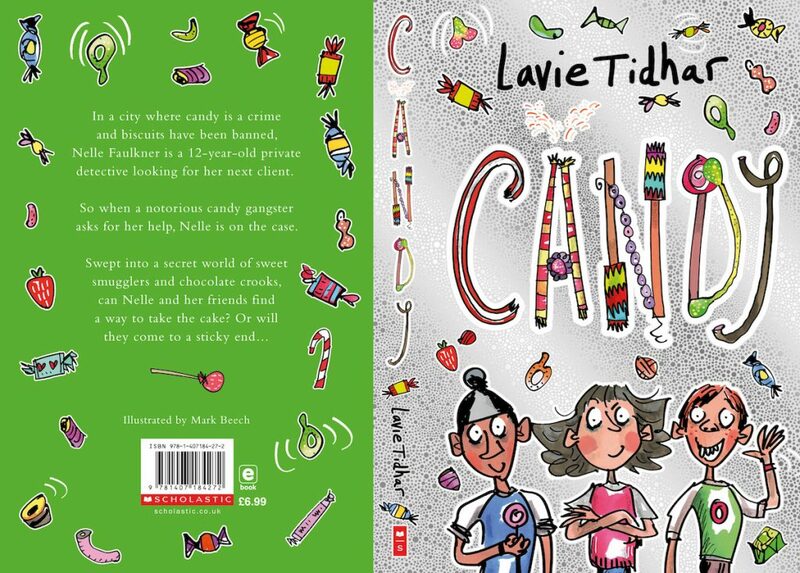 In CANDY, Lavie has created a thrilling, chocolate-mad world that leaps from the page, and his distinct voice and deployed film-noir style perfectly suit the action. He has created a brilliantly accessible and inspiring heroine in Nelle Faulkner, a determined, clever girl willing to follow any lead to get to the bottom of a complex conspiracy. In a city where candy is a crime and biscuits have been banned, Nelle Faulker is a 12-year-old private detective looking for her next client. The Scholastic edition is lavishly illustrated with internal black and white art by Mark Beech, who also provides the cover (above, full-wrap below). The novel has been hotly anticipated, with foreign rights pre-sold in Italy to Mondadori in a five-figure deal (at auction), in Germany to Loewe (also at auction), in France to Bragelonne, in the Czech Republic to Argo, in Poland to Zysk and in Romania to Nemira. Further deals are anticipated. This is Lavie’s first book for children, following a string of award-winning novels for adults that saw him scoop the World Fantasy Award, among others. next: Aliette de Bodard, Brandon Sanderson and Marie Brennan are Hugo Awards Finalists!